With commuting and office rental costs rising relentlessly, having your own workspace at home makes more and more financial sense. And even more so with our home offices, which are an investment that will enhance your property. Aesthetically and functionally, you get the full benefit of the Norwegian Log Effect™. 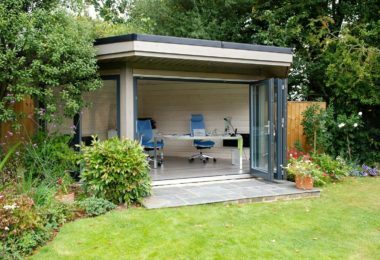 Our garden offices are the perfect solution, because you can work undisturbed without taking up valuable space in your main home. And imagine simply strolling across your garden to work each morning. All that time you once spent commuting becomes available for the more important things in life. 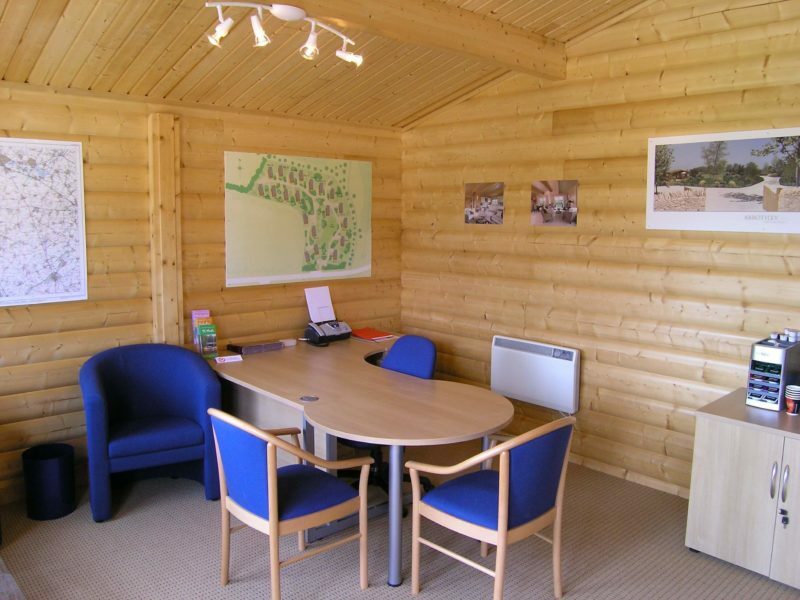 Our wooden home offices range from 9-30 m2 (97-323 sq. ft.) and are available in a huge range of standard sizes and layouts. They’re perfect for virtually any application, from a quiet office to an inspiring garden studio or craft workshop. Our versatile construction system makes it easy to create the working environment you need, complete with wiring for power and IT, plumbing for a WC, etc. For the ultimate in customisation, we also offer a completely bespoke design service. Our patented joint system – a major advance in log technology – means we’re no longer restricted to walls that meet at right angles. That gives us much more flexibility in design. 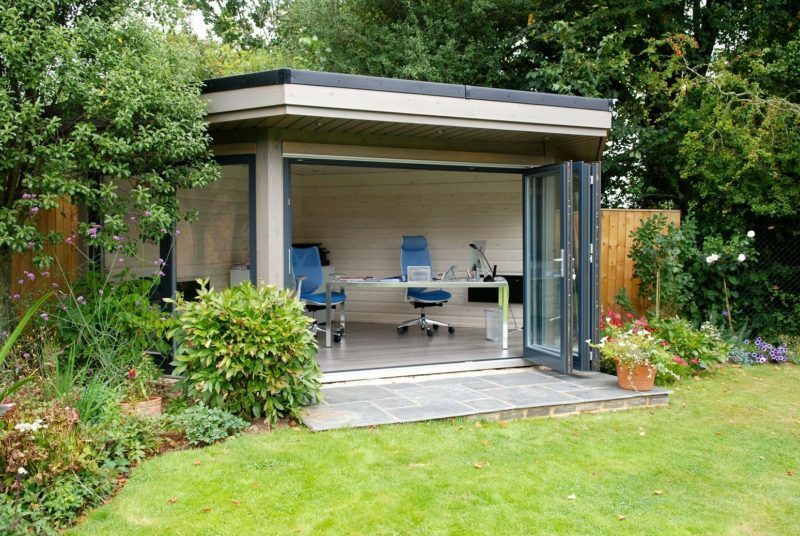 For example, we can fit your home office in an under-used corner or some other nook in your garden. 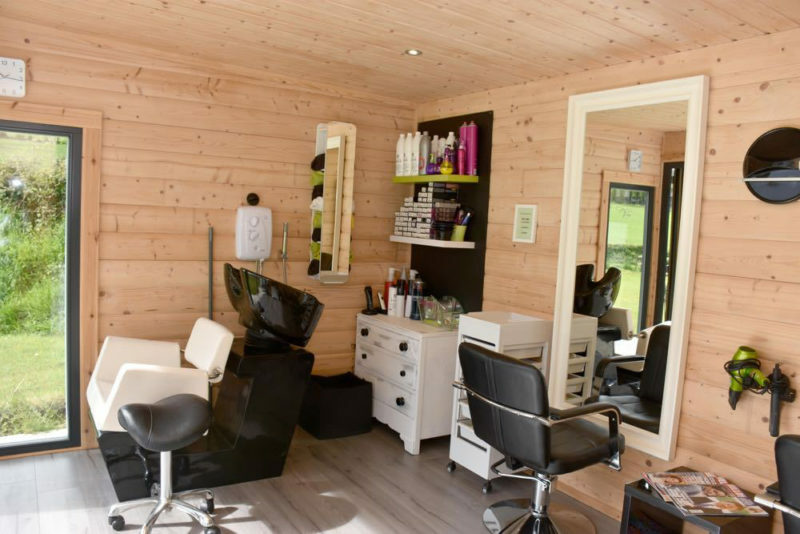 You can work in our tranquil garden offices with a sense of pride and confidence. This is particularly important when you’re meeting clients, because the solidity of your home office building reassures them that your business is solid, too. You also have the advantage that clients never need enter your home, so there are none of those awkward moments when your professional and domestic lives collide. Our insulated garden offices enable you to work in comfort all year round, with minimal energy costs. 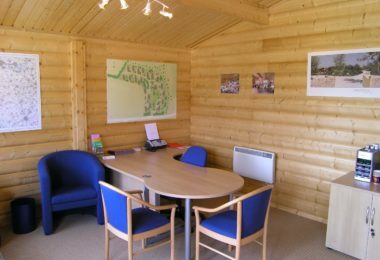 Our garden office buildings have fully insulated floors and roofs to complement log’s high level of natural insulation. 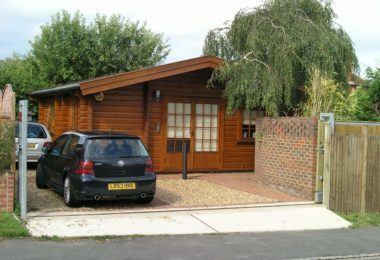 Warm in winter and cool in summer, our home offices enable you to work in comfort with low running costs. You save on maintenance, too. 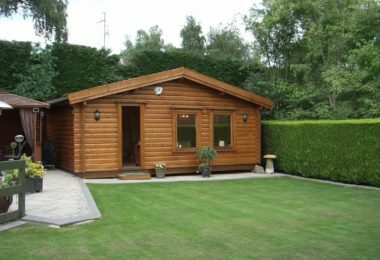 Our log cabin garden offices require only minimal routine maintenance to extend their lifespan indefinitely – and preserve the value of your investment. They retain their good looks, too, without the need for costly regular redecoration. 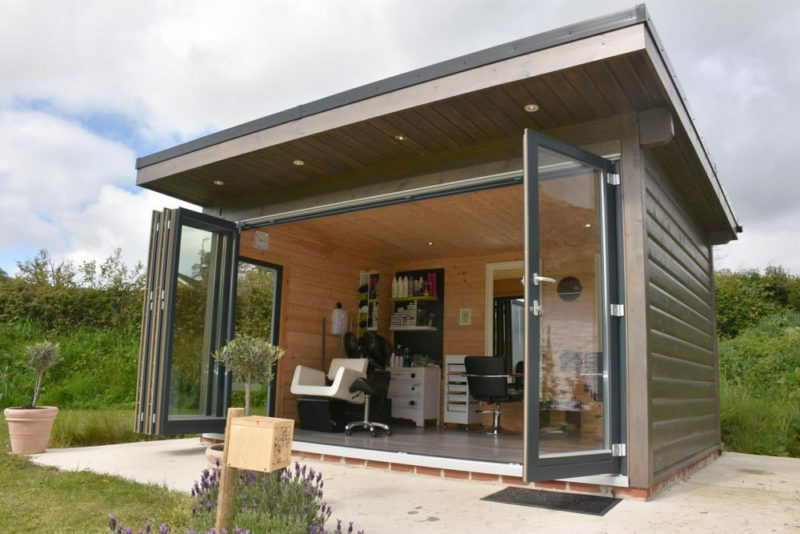 In most cases, you won’t need garden office Planning Permission or Building Regulations approval, saving you time and trouble when you buy your cabin office. You can read more about this in our guide, or contact us for straightforward advice. 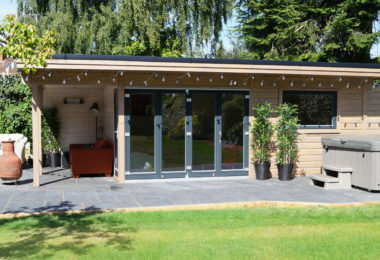 We’ll plan, design and install your garden room from only £14,955 inc. VAT. With all electrical wiring and heating included in the package, you won’t have to waste time and energy finding and coordinating the various trades. Instead, you have the convenience and simplicity of personal service from a single, responsive supplier. 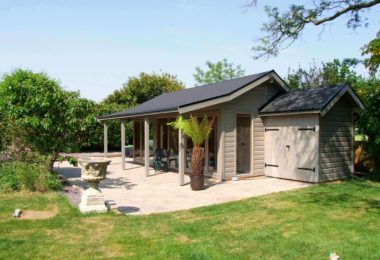 We expect to install your garden room on a finished base prepared by your contractor. We’ll be happy to provide a detailed specification free of charge for the base. If you prefer, we can quote separately for preparing suitable foundations. We use a quick, clean and eco-friendly screw pile system that minimises site disturbance and the use of concrete. 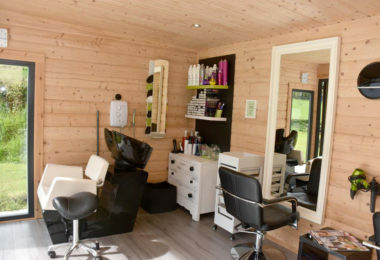 Our packages can include facilities such as WCs and showers to help you make the most of your new extra office space. We can also install comfortable suspended timber floors for complete comfort. We have decades of experience of meeting our customers’ needs, so we can tackle problems and offer exciting and lasting solutions. 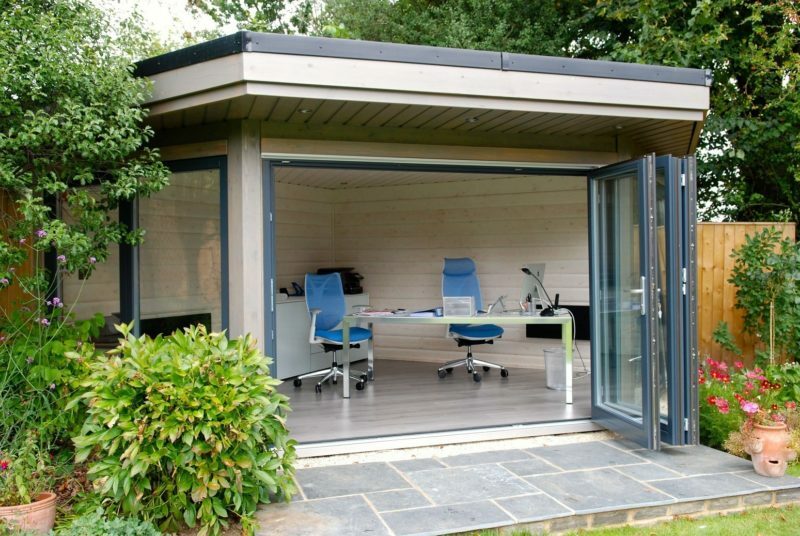 With our log technology, you can be busy in your garden office far faster than with traditional construction methods. 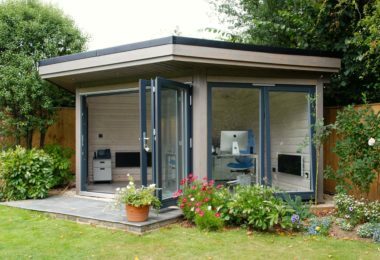 The way we construct your home office dramatically cuts the amount of time we spend on site, and we carry out all our work as cleanly as possible, with minimal disturbance. We really do appreciate that we’re working in your garden, which is precious to you in so many ways. With our home offices, there’s no need to find and coordinate builders, no need for messy deep foundations. 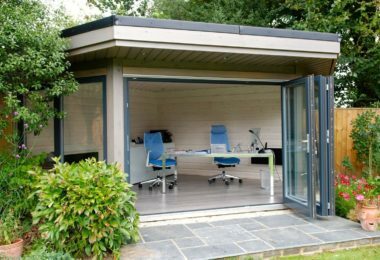 We usually deliver our garden offices as relatively small components. If necessary, we can carry every component through a standard domestic doorway, giving us access to gardens where we can’t use a crane. 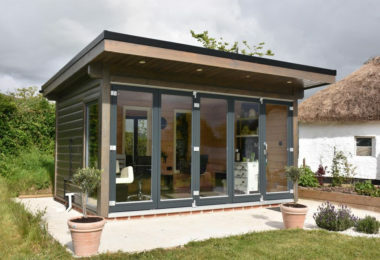 On some sites, we may be able to deliver our garden office buildings as modules, which we pre-assemble in our own factory under ideal conditions. This reduces the time needed on site to just a few days. 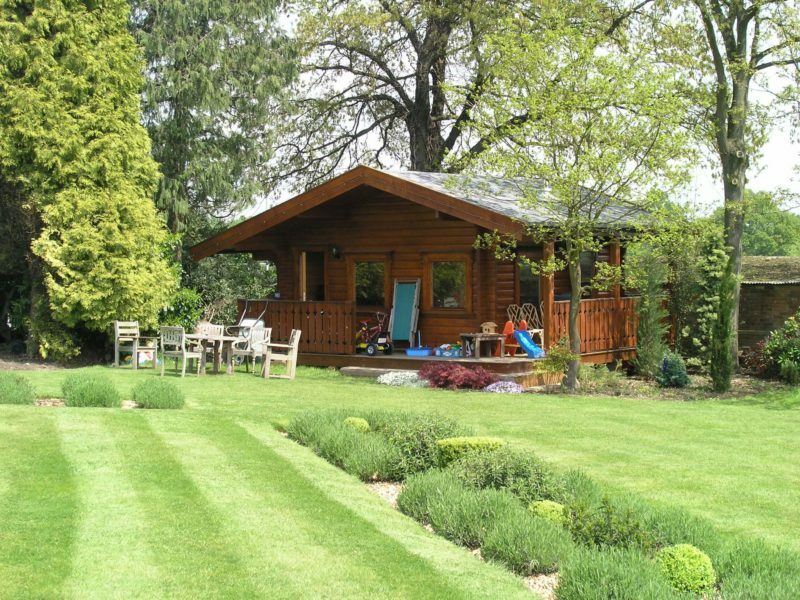 Prefer the traditional log cabin look? This page details our Stylish Contemporary range of home office buildings for the garden. 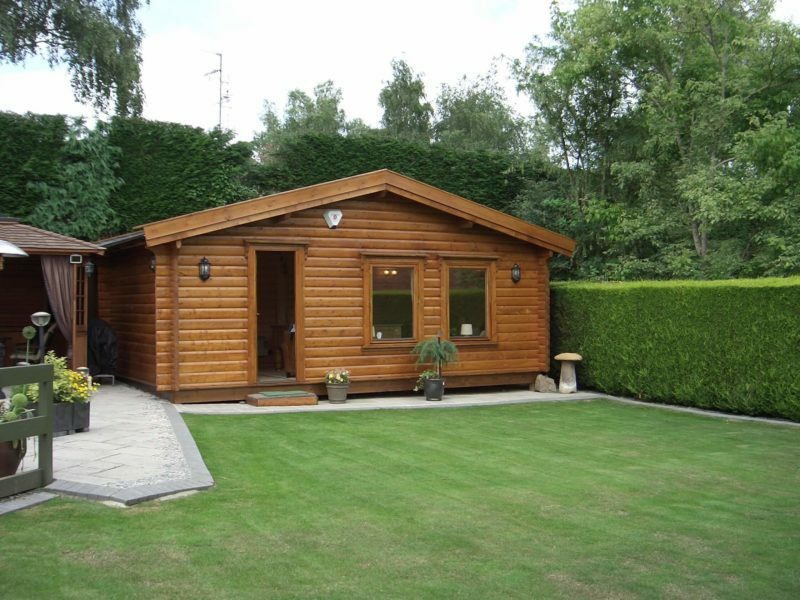 Our contrasting Timeless Traditional garden office log cabins feature distinctively Scandinavian design. This gives you the classic log experience plus virtually all the advantages described above. Please contact us for further information. Can you construct to my own design? Provided the main component of the building is log, we can build a structure of almost any size within reason, and for a wide range of applications. Do I need Planning Permission for a building in my garden? 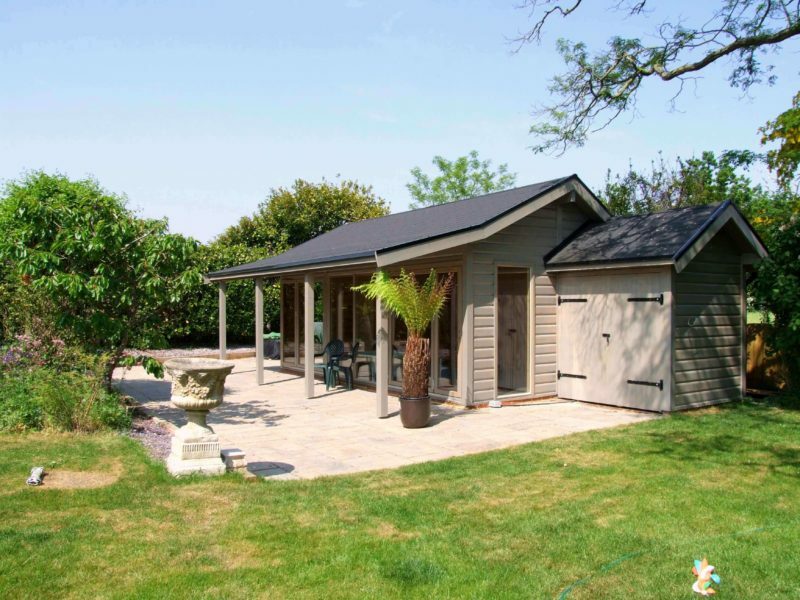 The outbuilding is not to the side of a house on designated land (includes national parks and the Broads, Areas of Outstanding Natural Beauty, conservation areas and World Heritage Sites). Note that outbuildings are permitted development within the grounds of a listed building. The outbuilding is not forward of the principle elevation of the original elevation of the house. The outbuilding and other additions must not exceed 50% of the total area of land around the original house. 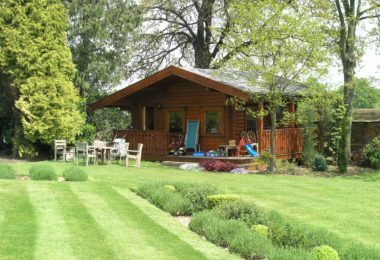 Sheds and all other outbuildings and extensions to the original house must be included when calculating this 50% limit. The outbuilding must not itself be separate, self-contained living accommodation. 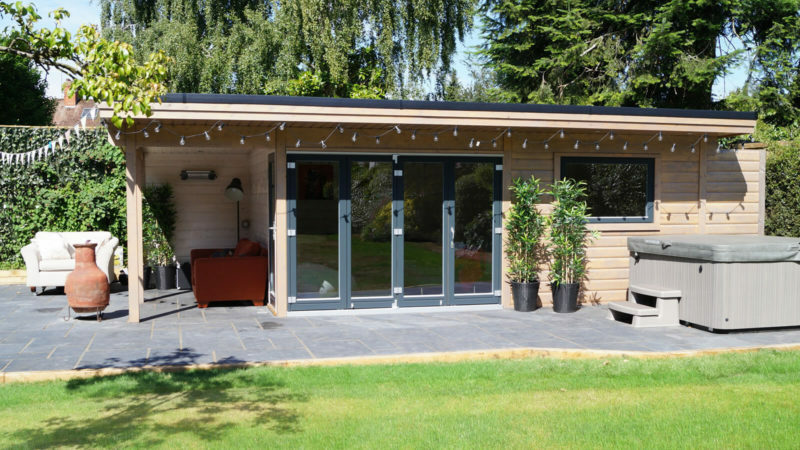 The outbuilding is single storey with a maximum eaves height of 2.5 m and a maximum overall height of 4 m with a dual pitch roof, or 3 m in any other case. If the building is within 2 m of the property boundary, the whole building must not exceed 2.5 m in height. Any veranda is no higher than 300 mm. We strongly advise that you check with your local Planning Office before proceeding. If you want to avoid all planning issues, take a look at our Contemporary buildings. They feature a different, distinctively contemporary, look, and fall within the 2.5 m height limit for planning close to boundaries. Will my building require Building Regulations approval? Provided your building's internal floor area is less than 15 m2, or 30 m2 if it is more than 1 m from a boundary, Building Regulations should not apply. We strongly advise checking before proceeding. Buildings over 30 m2 require a full Building Regulations application, which we can handle for you. 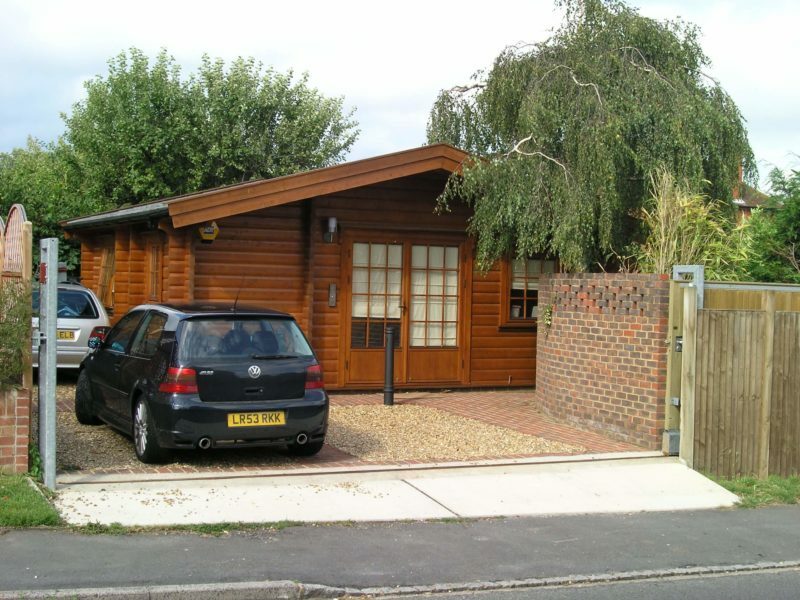 We have a fully fitted out 2 bedroom log home as well as a contemporary garden room at our HQ in Reading with viewings welcome by appointment only. What are your typical build/lead times? 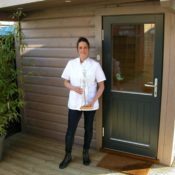 Once you are in a position to place an order our standard delivery times are 6-8 weeks from firm order (although this can vary at time of order). 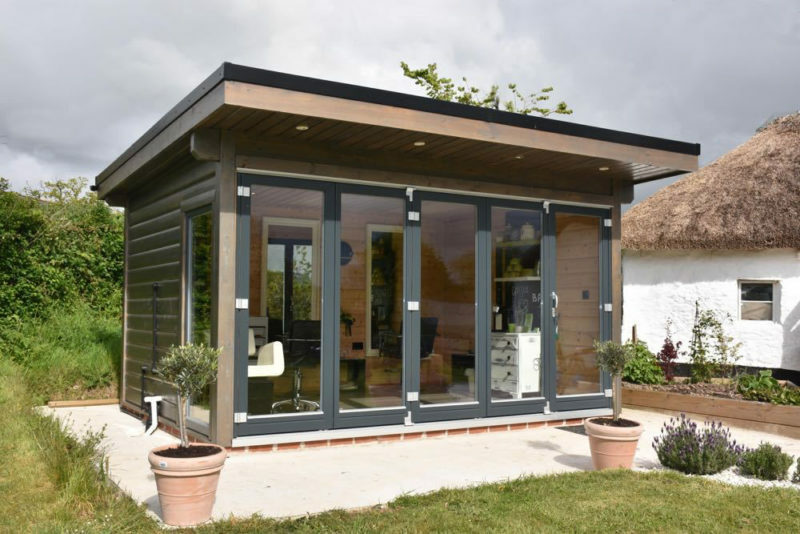 The time on site can depend on whether we deliver a modular annexe that is pre-assembled in our factory involving several days on site. Alternatively, assembly on site of the whole unit including internal fit will involve several weeks depending on the size of the unit. Do I have to prepare my own base? If you wish. We’ll provide a drawing and specification for the base when we receive your order. Or we can handle it for you. Our service includes providing a quotation for the base and associated works once we’ve inspected your site. Will my Norwegian Log building arrive in one piece or in panels? We assemble most of our buildings on site log by log, which enables us to access the most awkward sites. We will deliver your building to your site in wrapped packs, which we unload in bulk by forklift or carry as individual logs for ease of access. A walkway down the side of your house or a straight run through your house should be sufficient. We’ll inspect your site to confirm that access is suitable. If there are no restrictions on access, we can pre-assemble some buildings in the factory and deliver them to your site in convenient modules. 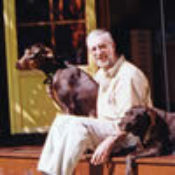 Will I have any difficulty insuring my Norwegian Log building? Our logs have a ½-hour fire certificate carried out by TRADA (Timber Research and Development Association) to a British Standard. Our clients have had no difficulties in obtaining insurance. Note that if your building requires Building Regulations approval, the structure must conform to all requirements under Building Control, including fire resistance. Do I need to have Building Regulation approval? No, not with a Norwegian Log granny annexe which is classed as a mobile home and is exempt from Building Regulations. To see one of our home offices for yourself, or to start discussing your plans, please contact us to make an appointment with one of our experts.